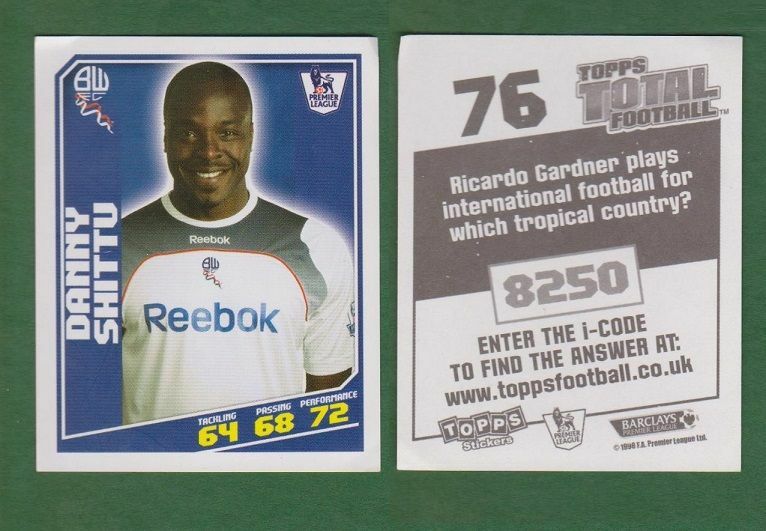 Football sticker issued by Topps under the Premier League 2009 series. Measuring approximately 5.3 x 6.8cm. 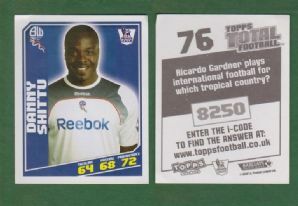 Depicting the Bolton Wanderers and Nigeria footballer Danny Shittu.